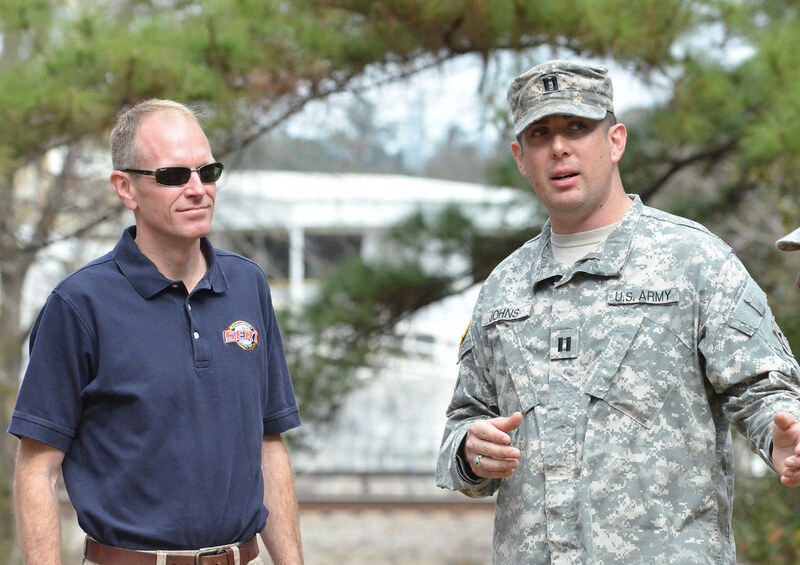 Brian Koon, Director of the Florida Division of Emergency Management, answers questions. Q: Brian, we’ve already had one named storm, Andrea. What do we have to look forward to? A: Well the forecast is for an above-average season so we’re prepared for a number of storms, both tropical storms and hurricanes to hit the state. We don’t want them to happen but we’re prepared for them well. Q: The state of Florida tends to fall into this amnesia. We just forget how hard we actually get hit. What is the message you’re trying to hammer home with people all across the state and all the visitors that Florida has? A: If you’re in the state of Florida you can be impacted by a hurricane. Everywhere in the state is susceptible to either storm surge, wind, heavy rain, inland flooding or the tornadoes that a hurricane spawns, so it’s very important to prepare for those situations and make sure that you get enough supplies for you and your family for at least 72 hours. Q: So key messages again, I know it’s the three-day. Talk to me about the supplies that you expect and we would hope that families would have in place. A: Well we want everybody to have the basics: food, water, flashlights, batteries, cell phone charger – those kinds of things and then beyond that you need to really consider what it is that you need specifically for your family, if you have pets; if you’re taking care of elderly family members; if you yourself have special needs; what are those things you need to get through at least those first few days before assistance can be reached or the infrastructure of the community gets back up on its feet. Q: And listening to and heeding the warnings from local emergency officials, I think, is extremely important. Could you tell us a little bit about that? A: That’s right. Much of the decisions made during a hurricane will happened at the local level from the county or city Emergency Management Agency and your National Weather Service office that serves your area will have additional information as well, so listen to those folks, turn on the radio, turn on the TV and listen to what they’re saying and please take their take their advice. Q: Where would people get information about hurricane routes shelters is that in fact information readily available? A: Absolutely we have a great website. It’s floridadisaster.org. All that information and a whole lot more is there. Q: Okay, Floridians tend to be strong and tough and sometimes will decide to shelter in place. Is there a time and a place for that and what should they do during a storm? A: Yeah, absolutely, in many places in Florida it is the right thing to do to shelter in place. If your structure is strong enough to withstand whatever winds you are going to be have, that’s a good idea. However, if you’re going to be impacted potentially by storm surge, you need to evacuate inland because you can’t evacuate far enough, you can’t stay in a place that’s going to be flooded with storm surge during a storm. You need to get inland to get somewhere dry. Q: Let’s talk about storm surge. People tend to forget it’s really not during the storm that you need to be as worried. I mean, obviously it’s dangerous – high winds, but it’s after the storm. A: That’s right. Well the storm surge could precede or even be after the landfall depending on where it is exactly in the state itself and so you need to be very cautious about that and again, those local messengers are going to have exactly where that level’s going to be in your area but after landfall when we’re cleaning up, that’s oftentimes when we’ll see a lot of deaths and injuries from a storm. As people clean up, there’s perhaps a generator causing carbon monoxide poisoning in their home or injuries from chainsaws, other things like that so you need to be very careful as you clean up from a disaster. Q: Let’s talk about recovery; so after the storm, what does the state do? A: Well the state will be working very closely with the local emergency management officials and FEMA as well, to assess the impact of the storm and get back up on our feet as quickly as possible. Our goal is to return to normalcy: get the lights back on, get the schools back open, get the roads cleared, get people back to work. Q: Points of distribution: is there, are we still working within that concept? A: We are. Our goal, however, is to get the normal infrastructure back open as quickly as possible, get the grocery stores back open, get the restaurant’s back open and where those areas that’s not possible, to put out points of distribution to serve food and water for those people who need it in those communities. Q: And finally, I know there’s been some controversy about sequestration and what the federal government is doing right now and how that may impact the National Guard that we depend on as a state during disasters. A: That’s right, we’re working very closely with the National Guard, having lots of conversation with the federal level to help them understand the potential impacts to the state and help reduce those impacts so that the National Guard can be at full strength to help Florida get back up on its feet after a hurricane. Q: Thanks. Is there anything else that you would like to add that would sort of hammer home the point of being prepared? A: You know, a storm that hits Florida impacts the entire state. With Tropical Storm Andrea, it made landfall at Dixie County and caused 12 inches of rain in Miami, so these storms impact the entire state. No matter where you are, if you live in the state of Florida, you’ve got to be prepared for one. Thank you Brian, thanks for joining us and to you our viewers, thank you so much for watching. We’ll see you next week.